Reunion Blues has been making the world’s best gig bags for almost 40 years, and the new RBX line represents a fusion of our passion for quality and the desire to make an affordable, lightweight, and protective case, perfect for musicians on the go. The essence of this passion is represented in it’s sleek aesthetic design, from the Quilted Chevron exterior to the soft velvet lining. 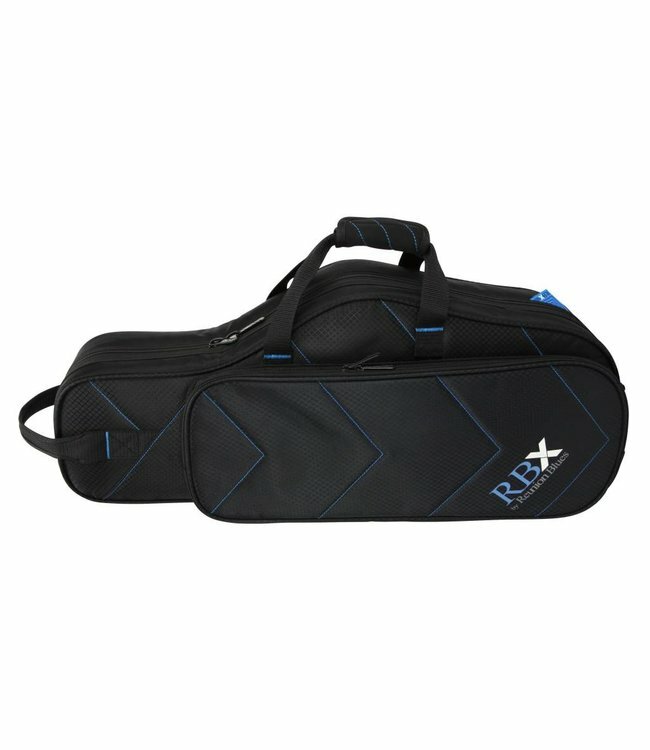 The RBX protection system features a lightweight contoured, molded interior designed to hold your instrument securely. The removable backpack straps and an ergonomic Neoprene handle wrap make getting around town a breeze. A spacious front pocket provides ample storage without adding bulk and includes an internal organizer. And best of all, RBX cases feature Reunion Blues’ Limited Lifetime Warranty.